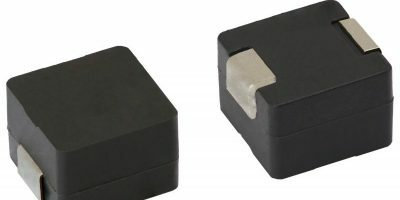 What is believed to be the first AEC-Q101-qualified, photo transistor optocoupler introduced by Vishay is now available at TTI. The VOMA617A combines a high current transfer ratio (CTR) of 50 to 600 per cent with low 5.0mA forward current. 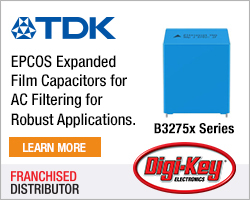 It is available from the distributor of electronic components in a compact SOP-4 package, which offers a 30 per cent saving on PCB real-estate when compared to a DIP-4 package. The VOMA617A series features a GaAlAs infra red emitting diode, which is optically coupled to a silicon planar photo transistor detector. The coupling devices are designed for signal transmission between two electrically separated circuits, particularly in automotive applications, and provide low coupling capacitance. Electrical specifications of the Vishay VOMA617A optocoupler include a collector emitter voltage of up to 80V and a 3750V RMS isolation voltage rating. The creepage and clearance distance of the device is greater than or equal to 5.0mm. Suitable applications for the VOMA617A optocoupler are system control in automotive applications, including electric vehicles (EVs) and hybrid electric vehicles (HEVs), electric bicycles and electric motorbikes, signal transmission with galvanic and noise isolation, battery management systems and on-board chargers, switch mode power supplies, 48 V board net applications and industrial applications with high reliability requirements. Devices are approved to UL1577, cUL 1577, DIN EN 60747-5-5 (VDE 0844-5), and CQC GB4943.1-2011. TTI is a Berkshire Hathaway company, and an authorised, specialty distributor of interconnect, passive and electromechanical (IP&E) components. 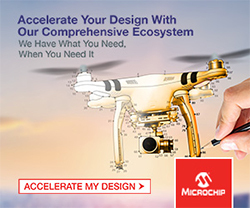 Its customers are industrial and consumer electronics manufacturers worldwide. Globally, the company maintains two million cubic feet of dedicated warehouse space containing over 850,000 component part numbers. 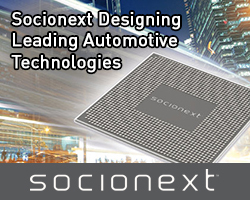 Along with its subsidiaries, Mouser Electronics, Sager Electronics, and Symmetry Electronics, TTI employs over 5,400 employees and is represented in over 100 locations throughout North America, Europe and Asia.